You think you got a routine. You are just moving along smoothly when bam something so unexpected comes your way. Life throws us a curve now and then. It can be scary and it isn’t fun but you can be prepared for it. If you have Christ in your life you know where to run for comfort and protection. Being prepared means knowing without a doubt where our help comes from. 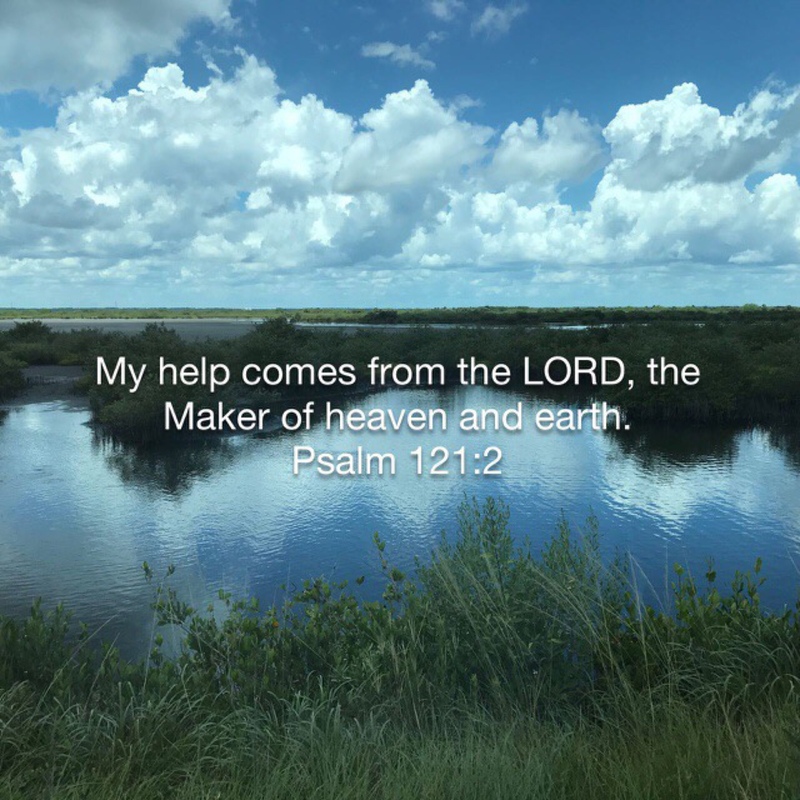 Psalms 121:2 says “My help comes from the Lord, the maker of heaven and earth.” He made the heaven and earth so He could certainly help me. John was in an emergency situation and remains in ICU as of right now. It is hard to see our loved ones ill and in pain. I know where my help comes from but it doesn’t make it any easier to watch. We do have that unexplainable peace, so we keep trusting. Trials can reveal your faith. We are waiting and praying for John to respond and get on the path to recovery. John has been through much worse than this in his life. A valve in his heart was replaced when he was just 35 years old. In 2003 he had a terrible fall that broke his back in multiple places. The accident made it necessary for them to put a rod in his back, which causes him daily pain and left him paralyzed. God brought him through those tough times and I trust He will again. John trusts in the Lord and knows he has a purpose for his life. What purpose does this event have? I don’t know yet. I am sure this purpose will be revealed in due time just like the others. Until then we press on with hope and expectation of a new day and John completely healed. Prayers are appreciated for John at this time. Update: later in the afternoon of October 20th after I wrote this , John was doing much better. He is now breathing on his own and starting to recover. Life has a way of challenging us and God uses those times to create in us a new dream. One that we would not have thought possible. My impossible dream came true 8 years ago today on October 17, 2009. 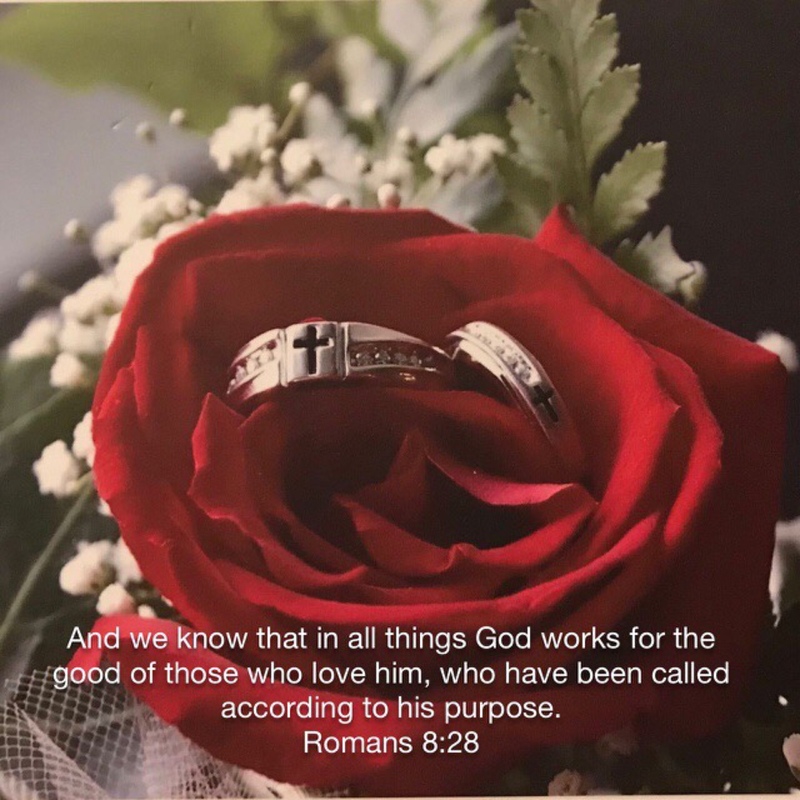 John and I got remarried at Calvary Chapel Melbourne. We got married the “first” time long ago in 1974 and were married 16 years. We were blessed with two wonderful children. Here’s the crazy thing we were divorced for 2O years (yes 20) until that day when God put our whole family back together again. The family by that time included our two children their spouses and three grandchildren. It is amazing how God can mend your hurts and let you love again. Now it isn’t easy to start over, but we now have Christ at the center of our marriage. We have to open our hearts to new possibilities and let him show us how to truly forgive. You also have to find the courage to take the first step to reconciliation. Life experiences often show God’s mercy and grace to us. He gives us all a second chance to come to him and follow him on our life journey. Sometimes circumstances change what you think your life will look like. Dreams and expectations can change due to those events. John has to deal with chronic pain and disability everyday. This is not something we had to face in our first marriage. It is not something I truly understand, but admire how he keeps going. I do know I would much rather have him in a wheelchair following God then walking without Him. Out of the pain and suffering a new dream gave birth. It was John’s God given desire to help others who have similar issues. So after much thought and prayer Finding His Purpose ministry started on January 23, 2014 with our first meeting. Our goal is to help those dealing with physical disabilities, chronic pain and illness find God’s purpose for their lives. God makes new dreams come true and he can put a new purpose in your life. God sees what we do not see at the time and works everything for our good. Keep dreaming and keep following Christ. You will be amazed at what might happen. Fix it! That’s what you do when you are a wife, mom, grandmother, friend and even a caregiver. You see the problem and you try to get it repaired as soon as possible so it doesn’t linger. Sometimes it isn’t such an easy fix. It becomes very apparent that the issue will need some time and some fervent prayer. 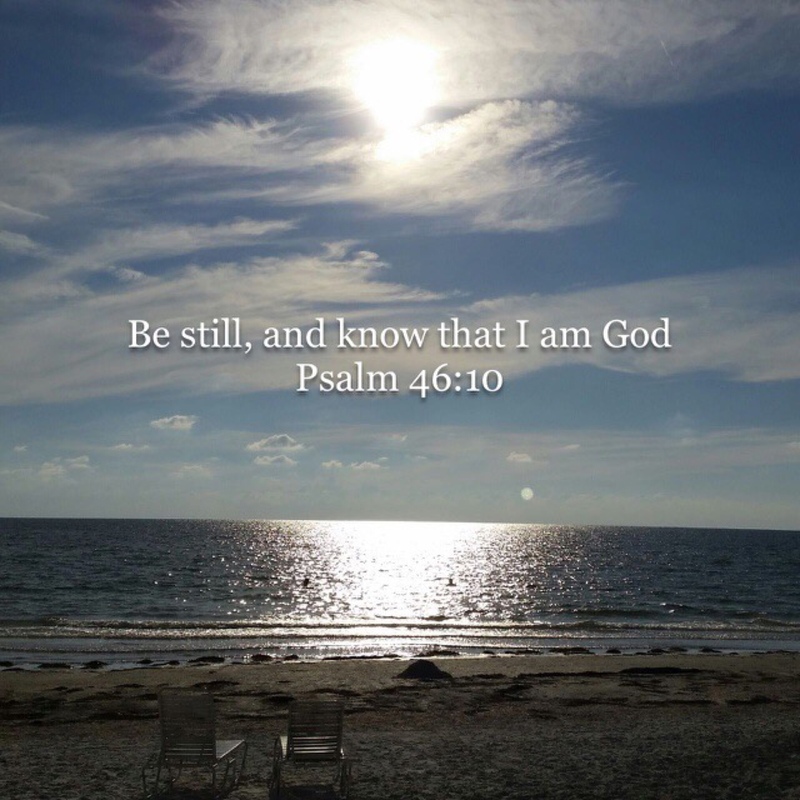 Before rushing in to do my idea of what needs to be done, I have many times heard the Lord say to me “Be still and know I am God.” I have finally learned to listen to that advice (even though it has taken awhile). Once I let God Be God and let him work in my loved one’s lives or in mine, I find everything turns out better. I stopped wasting so much energy on worrying since my Lord had the situation already handled. No, he doesn’t need my help, but he does want my attention and prayerful conversation with him while I wait for the answer. Next time you are faced with a situation that seems so overwhelming, take a deep breath, pray and wait as he shows you his wonderful plan. It always happens when you least expect it, the stress starts getting the better of you. Stress can rear it’s ugly head and make a mess out of our emotions. It could be on the job, at home or even inside us waiting to over take us. Maybe you feel pressured to perform in a super human way with unreasonable deadlines or be the perfect witness for Christ to others around you, and feel you are failing miserably on both counts. Maybe you just don’t know how to pay for another medical bill or how you will possibly endure another doctor visit with the same answers you been given time and time again. Well there is hope for us all. We need to relax and access the situation. After thinking about it and resting our mind and body, it usually is not as bad as we had imagined. Stress can take you to a level where nothing seems right and never will be. Stress can also be good at times motivating us to make a change or seek the rest we need. Stress most of the time fills us with anxiety and that kind of stress we need to shut down immediately. Life gets tough and you wonder when will this ever end. On those days I have to step back and ask God to help me get a better attitude. I go to the word and find some encouraging scripture to snap me back into a more positive mind set. It is surprising how many times the right scripture seems to appear just in time to make a change from doom and gloom to new possibilities. So next time when life is throwing you a curve and it is so hard to get back on track, pick up your bible and get some inspiration. 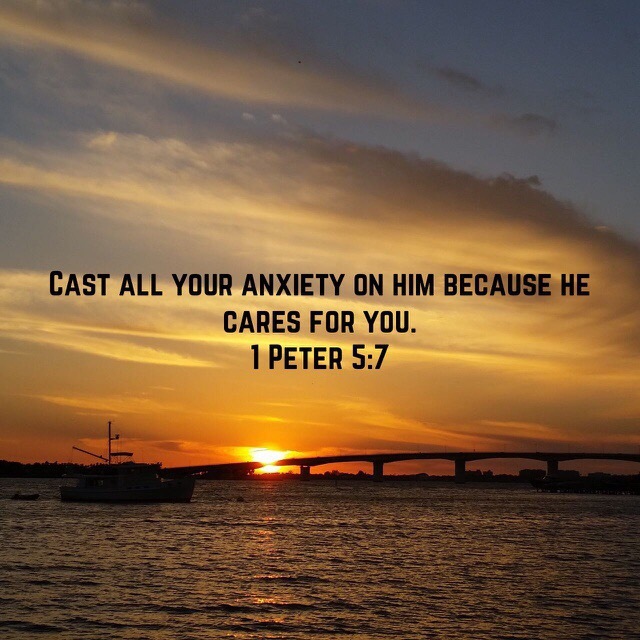 Ask God for his words to wash over you and give you something to hold on to. A new day is coming and new experiences that will not only push you to be better but also to become more like Him. Sometimes we learn the most during times of pain and despair when we are finally are willing to listen to the hope He offers. So here we are after the arrival of Hurricane Irma and we are all safe. We are very blessed that the only thing Hurricane Irma could stir up here was some downed fences and lots of tree debris. As we watch our state of Florida survey the damage, we know we are very fortunate. Many were hit much harder with flood, wind and even tornado damage. Ok, so this being said, let’s talk about after the storm when the power outages get real. Florida is very warm even in September usually about 90 degrees. Even with a generator it can get rather miserable. So how do we wait patiently for our power to be restored? Well, we can complain and get mad at the utility company but that doesn’t help. What does God want us to do as we wait? Pray, reach out to others and work on our patience. What does God want me to learn while I wait on His next move? Have you ever been in any kind of storm and had to still endure the after effects? There are many kinds of storms in life; illness, pain, disability, loss and even the real storms like hurricanes and tornadoes that change you and can make you stronger if you let it. We can look at all these challenges with a spirit of gratitude for our provision or we can become bitter and critical. Look up, ask God to show you the blessings right in front of you. Realize how blessed you really are and how He is there to personally walk with you on each step forward. Be patient and keep your hope alive.